Paul Wright for Get Active Physiotherapy and Health Professional seminars and consulting for health care professionals. BUT there is a better way, health professional Paul Wright can show you how to create a “turn-key” health business that makes money for you while you're at home, on holidays, or spending time with your family...just as he has done. 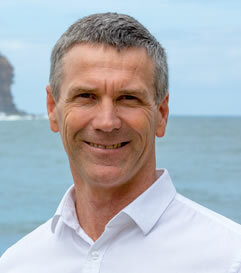 Since graduating as a Physical Education teacher in 1987 and then as a physiotherapist in 1990 Paul Wright has opened multiple multi-disciplinary health clinics, closed a few, been locked out of one and sold some others. He has employed countless therapists and support staff, fired some and re-hired others. Paul has been actively involved in clinical education around the world having lectured to over 20,000 health professionals - in the areas of program design, injury prevention, rehabilitation and business development and even found the time to win multiple titles as a competitive bodybuilder. Paul Wright is living proof this “Ultimate Health Business Lifestyle” is possible. At one stage he owned 6 successful Get Active Physiotherapy clinics in Australia, yet still spent more time at home than his wife preferred, never missed a school concert or sports carnival, and visited his clinics for only a few hours each week. While doing this he did not even live in the same city as 5 of his clinics! Hear Paul Wright Live at Your Event! Click here to find out more about having Paul Wright speak at your next conference or seminar.